Arthritis is a very common and painful condition of joint inflammation, which is a consequence of age related changes. Thus, ultimately leading to degenerative changes and joint structural compromise. This brief article will outline the causes of osteoarthritis and the treatment of osteoarthritis at our Osteopathic Clinics in Solihull and Henley in Arden. Ultimately, leading to progressive softening and cartilage degradation. 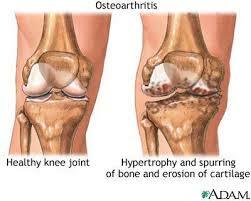 Osteoarthritis is mainly present in weight bearing joints, which are predisposed with progressive stiffening, reduced joint range of motion and a dull ache, associated with sharp pain on the outer joint margins. 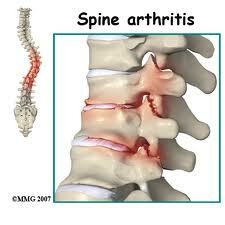 Our Osteopathic Clinics in Solihull and Henley in Arden have high amounts of experience in the treatment of arthritis. It is our aim to reduce the rate of patients having to have surgical interventions, with osteopathic treatment aimed at maintaining arthritic joint mobility and by promoting joint dynamic stability. This is done by addressing weaknesses of particular involved joints; biomechanical (movement) dysfunctional patterns which may be increasing functional demands, mobilising and stretching joint capsules, that may be associated with fibrotic (scar tissue) changes. Finally, it is our aim to provide specific motor training exercises, that allow joint to become more stable, in efforts to reduced the rate of further pain and dysfunction. ← What is the difference between an Osteopath and a Chiropractor? this blog contains amazing and in fact good stuff in support of visitors.